The United States satellite images displayed are infrared (IR) images. 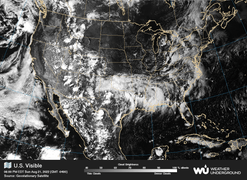 The visible satellite imagery is essentially a snapshot of what the satellite sees. 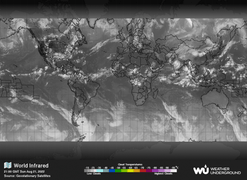 The Global Infrared Satellite image shows clouds by their temperature. 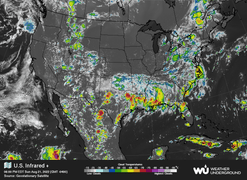 The visible satellite imagery is essentially a snapshot of what the satellite sees, unlike Infrared (IR) satellite imagery, which depicts the temperature of the clouds. As the sun approaches midday over a given area, clouds will appear as bright white, as opposed to gray at sunrise and sunset. This is due to more sunlight being reflected as the sun moves overhead. 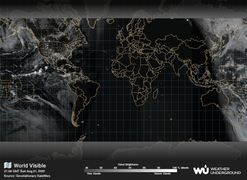 A weather satellite is a type of satellite that is primarily used to monitor the weather and climate of the Earth. Satellites can be either polar orbiting, seeing the same swath of the Earth every 12 hours, or geostationary, hovering over the same spot on Earth by orbiting over the equator while moving at the speed of the Earth's rotation. 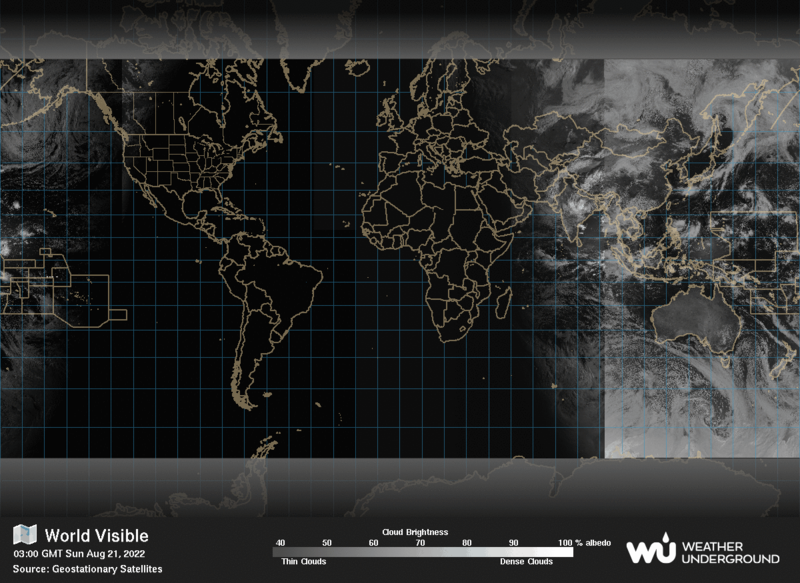 These meteorological satellites, however, see more than clouds and cloud systems.